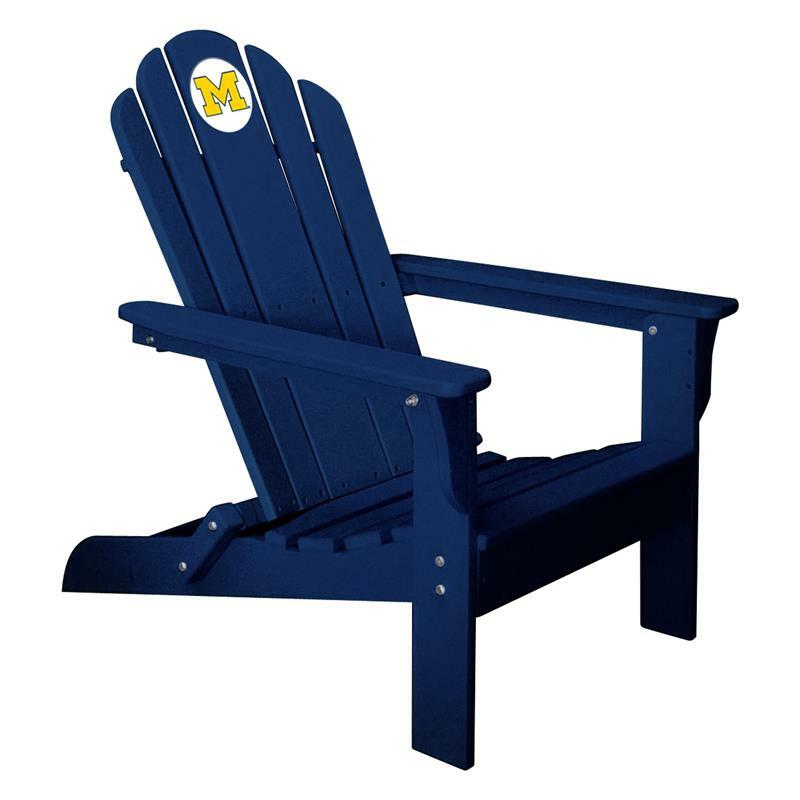 This folding Adirondack Chair is Officially Licensed by the University Of Michigan. Now you can show your team pride on your patio or in the tailgate lot! The chair is made from recycled milk jugs, high density polyethylene (HDPE), and folds up so you can easily move it from the backyard to your tailgate party or to store it. Maintenance free. Chair is 27 x 35 x 34-inches, weighs 37 pounds, and has a 240 pound weight capacity. Made in the USA and ships via truck from North Carolina. Enjoy summer and Go Blue!! !